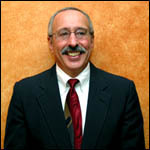 Paul Michel has been with Grobard & Associates, Inc. since October 2000. Paul specializes in identifying, evaluating and placing sales professionals in the Bio-Medical, Pharmaceutical, Medical Sales, and Medical Device/Equipment industries. He works nationally finding sales talent for companies in the above industries. Paul has twenty-five years of recruiting experience in the contingency search field. He entered the recruiting field in 1978 with the Atlanta, GA office of SalesWorld, Inc. SalesWorld was the largest company owned sales and marketing contingency search firm in the United States - Paul worked the Graphic Arts desk for five years. During his tenure he made the President�s council for top producers three times, broke the Graphic Arts desk billing record three times, won numerous monthly and quarterly billing awards and was consistently the top producer in the Atlanta Office. In 1983 Paul started his own search firm, The Michel Group, Inc., and continued placing sales candidates for local, regional and national Printing and Graphic Arts firms. In addition to Graphic Arts sales searches, Paul partnered in an Atlanta based medical search company specializing in placing Physician Assistants and Nurse Practitioners. He also took a six-month assignment as a counselor with an outplacement firm counseling mid-level management personnel during career transition.